Here’s a Lancashire version of Yorkshire Pudding. It was traditionally cooked in the fat drippings from a roast of beef and makes a delicious addition to Sunday Lunch. 1. Heat the oven to hot – 475 / Gas 9 / 240. 2. Place one teaspoon of the meat dripping (or oil or 1/4oz lard) inside the individual holes of a 12-cup muffin tray and set aside. 3. Sift the flour and salt in a large bowl. Make a well in the center. Add the eggs. Stir. 4. Begin adding the water a little at a time, mixing with a fork to smooth out any lumps until a smooth watery batter forms. 5. Whisk with a fork for 2-5 minutes until the mixture forms large bubbles. Place in the refrigerator. 6. Heat the oil or fat in the muffin tray in the hot oven for 3-5 minutes until it is hot and steaming. Carefully remove from the oven. 7. Whisk the batter again for 3 minutes. Spoon an even amount into each of the twelve holes. Immediately return to the heat. 8. Cook for 20-25 minutes until risen and golden brown. Serve immediately. Hints for the perfect pudding! * Puddings cooked in lard or meat dripping are the tastiest. * Use only plain flour. * Mixture made in advance, whisked several times, and stored in the refrigerator produces the best batter. * Whisk with a fork – not a hand or electric mixer. * The more air bubbles you whisk in, the more the mixture will rise. * The oven must be piping hot. * Do not open oven door at all while cooking. * Fat must be smoking before the batter is added. * Best served straight from the oven. 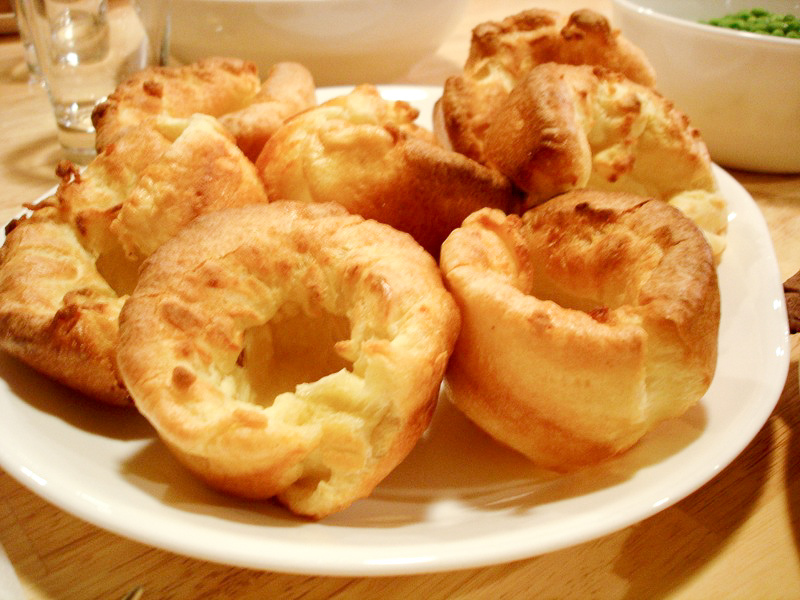 This entry was posted in Recipes and tagged batter, Old English recipes, recipe, Yorkshire Pudding. Bookmark the permalink. Perfect addition. I used to place the cooking tray on the electric hob to keep the oil hot before adding the pudding mix.